The company O’Kiproko presents “Happy apéricide”. 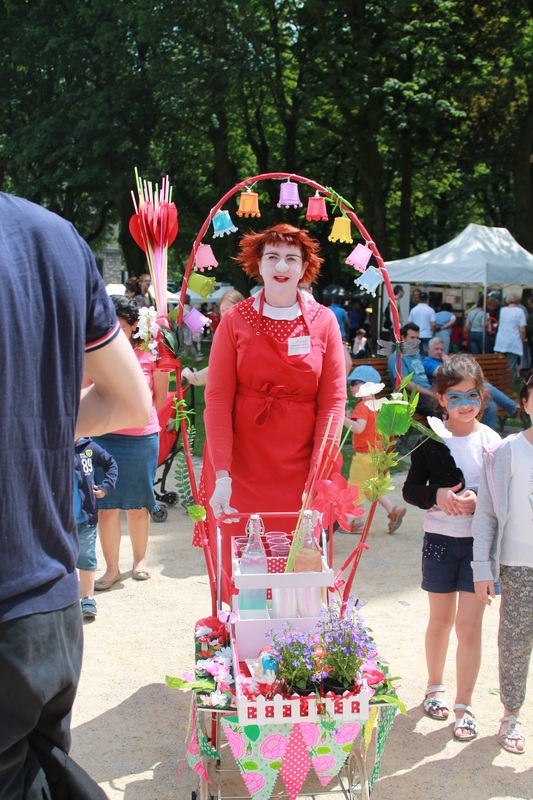 A clownish stroll where Klett Mariett, communication manager of Pesticide & Co, offers an aperitive drink based on pesticides, fungicide of the Tropics or herbicide from the North Pole. Pale and pimpled, she praises the “benefits” of her drink. When we speak of pesticide, we think about fruits and vegetables. She chooses tomato and invites the audience to sing a beautiful song… She speaks over climate change too… The audience doesn’t leave empty handed… They receive a selection of good advice from Klett Mariett ! The second degree is of course present all over the show. Ce spectacle ne nécessite aucune technique, il peut se faire à l'extérieur et à l'intérieur. Pour tout public.